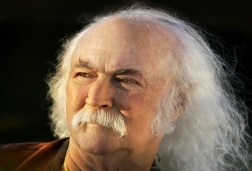 David Crosby has been an important part of the musical and (counter-)cultural landscape for over 50 years. He was a founding member of The Byrds, and contributed to hits including “Mr. Tambourine Man”, “Turn! Turn! Turn!”, and “Eight Miles High”, which he co-wrote. He then co-founded Crosby, Stills & Nash (and sometimes Young), writing or co-writing “Guinnevere”, “Almost Cut My Hair”, “Long Time Gone”, and “Wooden Ships”, and contributing vocals on such beloved songs as “Suite: Judy Blue Eyes”, “Teach Your Children”, “Our House”, and “Woodstock”. While he is best known for his work as a member of a group, Crosby also released the acclaimed 1971 solo album If I Could Only Remember My Name, and several other solo albums, most recently 2014’s well-received Croz. And two more solo albums are currently in the works. Preview of Jefferson Starship concert on 4/30/10, featuring interview with Paul Kantner. Complete interview available here. 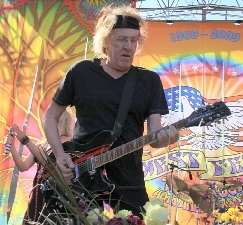 Paul Kantner was a co-founder, singer, rhythm guitarist, and songwriter for the Sixties psychedelic band Jefferson Airplane, which is best known for the hits “Somebody To Love” and “White Rabbit”. His songwriting credits include “Crown of Creation”, “We Can Be Together”, “Volunteers” (co-written with bandmate Marty Balin) and “Wooden Ships” (co-written with David Crosby and Stephen Stills). Kantner stayed onboard when Jefferson Airplane morphed into Jefferson Starship. This interview was conducted by phone on 4/21/10. 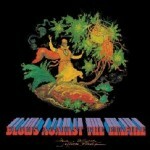 It formed the basis of a preview article for Jefferson Starship’s 4/30/10 show in Santa Barbara.